The Search for Miss Resorts World Manila 2012 has begun! - Hello! Welcome to my blog! The Search for Miss Resorts World Manila 2012 has begun! Open to all single ladies, 18-27 years old, with Filipino-blood, at least 5’6” in height ,are invited to join one of the most prestigious glamour and fashion events of the year. Screening for Manila leg happens on September 30, Sunday starting 11am at the exclusive Genting Club in Resorts World Manila. Potential candidates are expected to be of well-rounded personalities, naturally charismatic and classy, eloquent and intellectually appealing. Aspirants are to bring a black cocktail dress, two-piece swimwear, and set cards during the screening. The prize you ask? 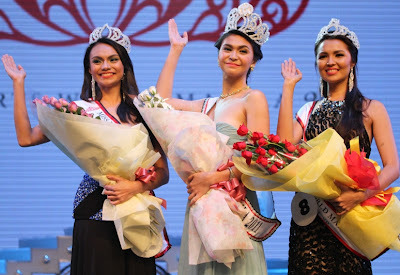 Well, winners get to represent the country’s first integrated lifestyle hub and showcase the innate Filipina beauty, culture, and pride both here and abroad, plus a grand prize of P500,000 worth of cash and prizes, scholarships, and a Star Cruises Trip among others. Resorts World Manila is searching anew for a true embodiment of beauty, congeniality, luxury and world-class elegance. Indeed this is the search for The Ultimate “It” Girl of Luxury, Elegance, And The Filipina Beauty of today. This year, Miss Resorts World Manila will have a different twist. It will now center more on Filipina beauty and fashion, tapping 12 prominent coutures from the celebrated Cebuano Designers Guild, a media presentation fashion show, confidence and personality trainings, challenges, and a whole lot more. Miss Resorts World Manila 2012’s Final Runway show and coronation night happens on November 23, 2012 in time to usher in Resorts World Manila’s grandest annual celebration, the Grand Fiesta 2012. Check out my previous posts about Ms. Resorts World Manila here. For more information on how to join Miss Resorts World Manila 2012, please call 0917-8786203 or 0917-8674533.